I’m not sure what it’s like where you live, but here in the snowy wastes of Ottawa, Ontario (home to Corel’s corporate headquarters), one thing in certain: Old Man Winter is one miserable sack of road salt. The fact is, we’ve been freezing our unmentionables off for the past few months and it looks like we still have a few more to go. Fortunately, making it through the harsh winter months has become a little easier thanks to the power of technology. Want to stick it to Old Man Winter? Yup, there’s an app for that. If you’ve ever been stuck in a snow storm before, you know just how dangerous winter weather can be. That’s where the Winter Survival Kit comes in handy. This all-purpose app will automatically determine your exact GPS location, call emergency services if you need it, and even notify your family and friends of where you are. The app also offers helpful life-saving calculations, such as how long your car engine can run on the amount of fuel you have left and — if you’re stuck — when to turn the engine off to avoid carbon monoxide poisoning. There’s also advice on how to prepare a real-world survival kit, as well as suggestions for how to safely winterize your car. Think of it as a kind of digital flare gun that not only gets you the emergency help you need, but also offers life-saving tips that may just prevent you from turning into a human popsicle. If you’ve ever been late for work in the morning because you’ve had to shovel the driveway and scrape off your car, the Winter Wake Up app may be for you. It essentially works just like a normal alarm clock app. The kicker, however, is that the app will calculate the amount of frost or snow from the night before, waking you up earlier based on the amount of precipitation. 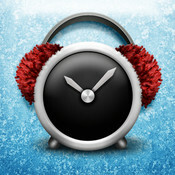 The app even includes a wake-up alarm option that mimics the sound of ice being scraped off a windshield (the sonic equivalent of being doused with a bucket of icy cold water). That alone may make you want to hibernate under the blankets until spring, but it’ll also make sure you don’t end up rushing to work in a frozen ball of panic. Winter isn’t all bad. Just ask the millions of people around the world who flock to the mountains to get in a little R & R on the slopes. 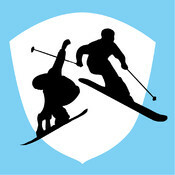 If you’re one of these adventurous snowboarders or ski bunnies, you’ll probably dig the Ski and Snow Report app. Drawing on a database of other 2,000 ski resorts from the world, the app provides current snow conditions, including updates from actual users who are on the hill. That means you’ll know exactly what kind of conditions to expect if you do decide to get your skis shined up, grab a stick of Juicy Fruit and cut out of work early to hit the slopes. The Winter Blues. Sooner or later everyone gets them. Seasonal Affective Disorder (or SAD) is estimated to affect up to 15% of the population in the U.S. and Canada alone. It’s generally caused by low temperatures and shorter periods of light, resulting in a general feeling of womp womp followed by this face :(. 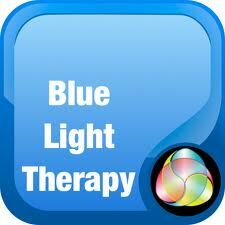 Fortunately, there’s the Blue Light Therapy app to help thaw out your brain and drive those winter blues away. The idea behind the app is to stimulate the SupraChiasmatic Nucleus, the part of your brain that — in addition to sounding like the lyrics to a Mary Poppins song — also processes light and helps you make the transition from being asleep to fully awake. You can even set up the app next to your desk to bombard your peepers with pleasant, rejuvenating light waves. That means you’ll be floating on cloud nine, even if the rest of your co-workers are a bunch of frozen blocks of surliness. If you’ve ever had to travel during winter, you know just how stressful it can be. With unpredictable weather and sub-zero temperatures, there’s always the risk of getting stuck in the living purgatory that is an airport terminal. 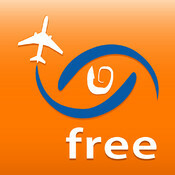 That’s why FlightView is the perfect app for anyone flying during those harrowing winter months. It allows you to track flight information in real-time, even showing you specific flight paths and the current weather on radar. You can even save your flight itineraries, allowing you to quickly bring up your flight’s status as well as important information such as what gate and terminal to head to and where you pick up your baggage. It might not solve all your winter worries, but it could mean the difference between freezing your buns off in an airport gift shop and sipping Mai Tais on the beach in a tropical paradise. Take that, Old Man Winter! 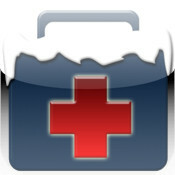 Is there are a winter app you can’t live without? Post a comment below and let us know! My name is Adam and I'm a copywriter with Corel’s Marketing Department. In a past life, I've been employed as a book editor, journalist and video game screenwriter. I enjoy reading, biking and cheesy 80s action movies. I can neither confirm nor deny rumors that I am a massive nerd. This entry was posted in Technology and tagged apps, Corel, CorelDRAW, free apps, mobile apps, VideoStudio, winter apps. Bookmark the permalink.